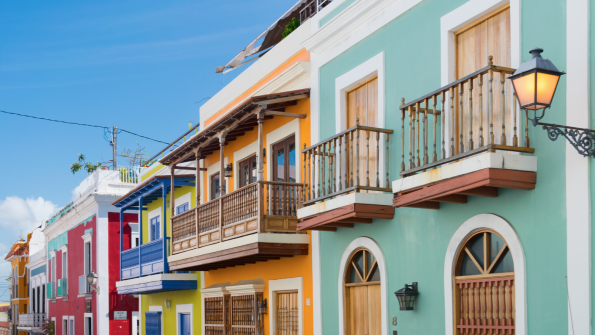 Puerto Rico has filed for a bankruptcy-like restructuring of its $70 billion debt, and many analysts are strongly suggesting that it serve as a wake-up call to municipal bond investors. The filing occurred after talks with the U.S. territory’s creditors failed, according to CNBC. The $70 billion restructuring is the largest ever for the U.S. municipal bond market, and will likely kick off legal wrangling between hedge funds, mutual funds and other creditors. The roughly $70 billion Puerto Rico filing dwarfs Detroit’s $18-$20 billion filing from 2013, the New York Times reports. “After extensive discussions in good faith and the opening of the financial books of the Government of Puerto Rico to the creditors, there has not been sufficient progress in the negotiation," Puerto Rico's Governor Ricardo Rosello said in a statement, per CNBC. Puerto Rico’s economy has been struggling for years, according to Quartz. The government has spent lavishly, the economy hasn’t been able to recover from disappearing tax breaks and the government’s debt has gradually grown over time. Puerto Rico cannot file for Chapter 9 bankruptcy, as it is an unincorporated territory, Quartz reports. In 2016, Congress gave Puerto Rico the ability to file for bankruptcy under the Puerto Rico Oversight, Management and Economic Stability Act (PROMESA). Some analysts believe that the bankruptcy should be a learning experience for investors and creditors, while others say the move has consequences for the markets. Analysts agree, however that the negotiations will take time, Reuters reports. "It will be an orderly process that should be better for creditors in the aggregate than a chaotic and uncertain period involving proliferating lawsuits," Moody's Investor Services Analyst Ted Hampton told Reuters.